Selling up is one of the biggest decisions you’ll make as a business owner, one with profound implications for your financial future. Whether the circumstances are positive – for example, you’ve achieved what you set out to achieve – or negative – like illness or the business is struggling – it’s worth having a clear plan in place for when you've committed to putting your business on the market. Whatever your circumstances, there are a few steps that will make the process less painful, and hopefully quicker and more profitable. Unless you’re lucky enough to have a trusted friend or family member ready to take over, selling can be a complicated and lengthy process – taking six months or longer. You may not find a buyer at all. (It’s worth keeping this in mind when you decide to buy a car wash business in the first place – be sure it’s the right career choice for you). So it’s wise to start preparing for a sale once you have the slightest inkling that selling up might be on the horizon. Business brokers are the experts on how to buy and sell a business. They can help you with all aspects of the process, from preparing your business for sale right through to signing the final sales agreement. 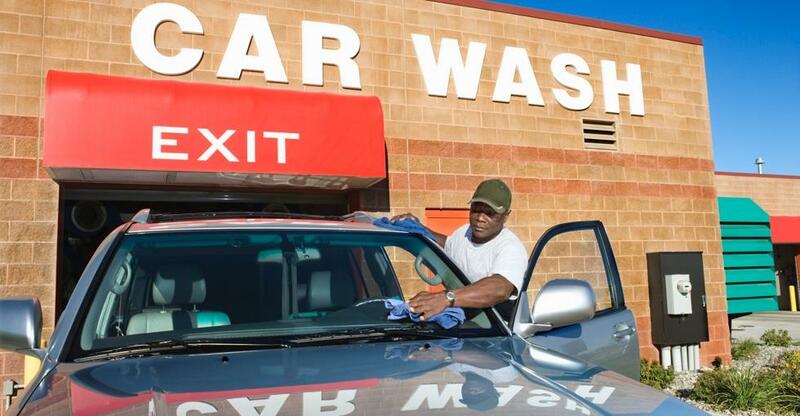 Car washes are typically priced by multiples of gross annual revenues, EBITDA or – particularly for businesses with above average profitability. Goodwill – the business’s reputation – will be a factor too. Long established car washes, therefore, are commonly valued using the capitalised excess earnings method, which accounts for goodwill as well as tangible assets like premises and equipment. For younger car washes, especially those growing quickly, meanwhile, discounted cash flow may be an effective tool, insofar as you can demonstrate the value of a business to investors based on your earnings forecast and risk assessment. The wisest option for your particular business is best determined by your business broker or other expert schooled in the art (it’s not entirely scientific) of business valuation. For more advice about valuing your business, read our interview with a leading Sydney-based broker. When you’re preparing to sell, it’s time to take a long hard look at your business and decide what strengths you can build on and what weaknesses need fixing – without spending more on the process than you can recoup from a higher asking price. Now is the time to put yourself in the shoes of a buyer who visits your premises. Do you need to fix or buy machinery – and is it worth the outlay in terms of potential impact on the buyer’s perception? Can you find a cheaper chemical supplier? Are your accounts in order and is all paperwork tidy and easy to access – because a serious buyer will expect relevant information without unreasonable delay. Good bookkeeping – often neglected in this industry – is a must, because you’ll have a hard sell with an asking price predicated on sketchy financials. Viking also suggests installing a water reclaiming system – if you don’t have one already – to burnish your eco-credentials and slash water bills. More prosaically, is your car wash as clean and tidy as can reasonably be expected? Cleaning or replacing aging signage is one inexpensive way to enhance curb appeal. To get the best purchase price, the business needs to be a well-oiled machine. Above all, you need to make the transaction process easy for the buyer. Finally, you’re ready to start spreading the word that you are moving on. But contrary to how you would approach selling your house, you’ll want to do this discreetly and with minimal fanfare – lest your regular customers find out and doubt your commitment to providing excellent service. In a way, the best business to buy is the one which runs itself. If your business can continue to operate smoothly even when you’re not around, you’ve won half the battle. Fortunately, the car wash business model is relatively straightforward and car washes thrive through a busy location, competitive prices and efficient, thorough staff (and car-washing equipment), rather than the proprietor’s charisma. So take a step back and let your managers take on more day-to-day responsibilities to show the buyer that the business can thrive without you. It’s also worth documenting the processes involved – such as maintenance schedules, the shift rota system, point-of-sale practices, ordering stock and so on – to reassure a buyer that they are capable of continuing your success. And find out everything on selling your business right here.